Use this dog medical tracker to keep track of your canine’s vaccinations, weight, flea/tick treatments, heartworm treatments, and more! Great for emergencies or even just to remember when your pet’s last vet visit was. Please read the disclaimer near the bottom of this post. Instead of posting a clickable “download” picture, since this comes in so many colors I’ll just give you some text links to choose from. This is free, so download them all if you want! Have a vet look over any pet you wish to adopt. Veterinarians will stamp their medical records with their information (name, address, and phone number) to advertise their business and to make sure you have it in the case of emergency. If you received an unstamped version of this from someone else, it did not come from a vet. Always ask for the information of the vet that any private seller claims they used. If they can’t give you the information, walk away. If they can, call that vet and ask that they corroborate the seller’s story. Please use common sense when adopting a pet. 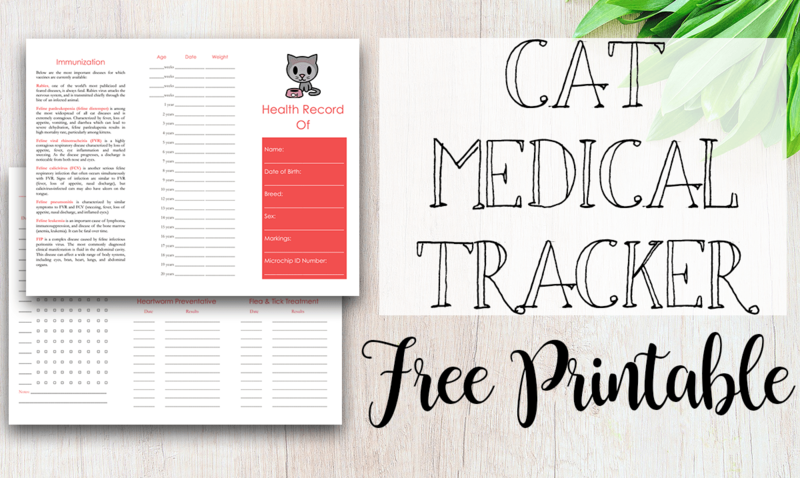 Click on the links below to download and print your tracker. Note: YOU WILL NEED A PDF READER. I use FoxIt, which is free. Click one of the colors to download and print. Step 1: When you open the print dialogue, make sure Two-sided is selected. Then, click on Print Using System Dialog below that. Step 2: Make sure the correct printer is selected and then click Preferences. Step 3: Yours might look different depending on your printer. But here, I go to the bottom of the box, next to Duplex/Booklet. Click on the drop-down menu and select Duplex. Underneath that drop-down box (mine is covering it), select Duplex Options. Step 4: Select Short Edge (Top) and then click OK. Click OK on the next box until you get to the box from Step 2. Click Apply and then click Print. It should print double-sided with both sides going in the same direction. This printable is for personal use only. You may share it on your own blog and social media sites as long as you link back to this post. You may print out as many copies as you want and give them to friends and family for free. However, you may not sell copies or redistribute them as your own. Answer: No. 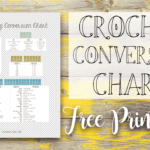 This is a free printable. I only customize sales. Are you able to download the PDFs? If you can, then the problem is your computer’s connection to your printer, which is not something I can help with. I would suggest Googling the problem or contacting the company’s Customer Support. Is there any way to edit the record? I vaccinate following a holistic protocol and want to remove the immunization section, been having trouble finding any holistic health records and yours looks great, just want the immunization section removed able to change it. THANK YOU VERY VERY MUCH. WE HAD ONE SIMILAR FOR OUR OLDER DOG BUT NOTHING FOR OUR POODLE. IT WAS EASY TO PRINT. TURNED OUT PERFECT. THANKS AGAIN. Thank you for sharing with us #pintorials Lovely printable! I cant get the link to download the dog vaccine record to work?? Please help. Michele, they’re all downloading just fine to my own computer. It should just open a PDF in a new browser tab or window. What’s happening when you try to download them? I am worried about the dog’s health. I find record really convinient. I want to download the record. Can you give me? This is a cute idea for pet owners! 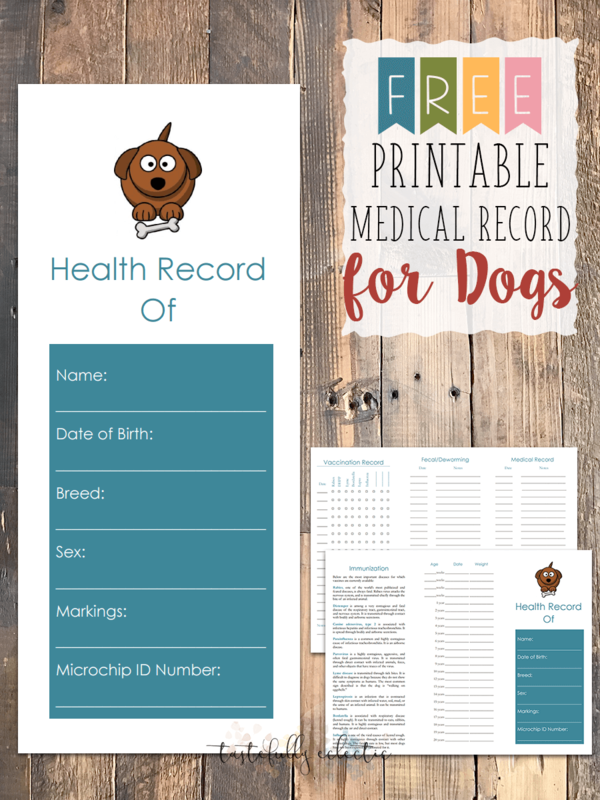 Keeping your pet’s health record is very important. You have to note everything about his or her vaccination and other health related transactions. THANK YOU! THANK YOU! THANK YOU! You just saved me a ton of time. I was just about to try to recreate a version of a health record I had because I couldn’t find any good printable versions online. That is until I stumbled onto yours. It is perfect! Can you please repost the download option? The dog medical record report no longer has a link. Thanks! Tami, go to where it says, “Download here” and look below that. In order to download the medical record, click on the color you want to view (the links say, “blue,” “green,” etc.) and it will show you a PDF that you can either download or print. I am normally really good on computers- I got this to download and I LOVE IT. My problem is when I print – its print one side of the paper one way and on the other side in the opposite direction. When I fold it- the sides are not matching. Any help/suggestions? Hi Joy! Easy fix, your print options just need adjusted. Step 3: Yours might look different depending on your printer. But here, I go to the bottom of the box, next to Duplex/Booklet. Click on the drop-down menu and select Duplex. Underneath that drop-down box, select Duplex Options. If you need pictures to help, I’ve edited this post to include the directions with screenshots. Hope it helps! Can you create a plain black and white version? My printer doesn’t do colors and will leave out everything that is not black…. This literally cheered me up. I’m about to get my pup trained and I LOST the receipt to the first shot he got, so glad I found this. Now I can just go buy the 1st shot and stick the stickers on there, and move up to his second shot!!! Thanks!!! I love your dog health record. What software did you make it in? Any way I can make changes? Thank you so much for this!! I was looking for a printable on google and none were what I needed/wanted. this is sooo cute! and great for keeping record of all our furbabies vaccines! thanks again! Hi, ive been using your link to print for the past year. I’m trying to print tonight and it says your site it no longer available when I select a color …. I’m so glad you and your clients get so much use out of this!!! It won’t let me even see the printable. It keeps saying my server cannot connect. Hi Patty! I used Microsoft Word. Unfortunately, the original file got lost when I moved to a new computer, so the only way to make changes is to totally reconstruct it.